I love wine. Yep, I’m that girl. The 30-something woman who is pictured far too often with a drink in hand. I’m not saying I get sloshed every night (well, some I do, obvs!). But I do like a glass of wine. I’ve been like that for quite a few years now. A social drink with friends, a quiet glass after work, wine and cheese nights. I really do enjoy vino. Having said that, it’s pretty much only in 2016 that I’ve started to really appreciate wine. And that is mainly thanks to two of our friends whose knowledge and passion about wine is right up there with people who work in the business (as far as I can see, anyway!). I understand your concern, I’ve had it for years. And don’t worry, this blog is not going to turn into some in-depth rave about tannins and noses and bouquets. 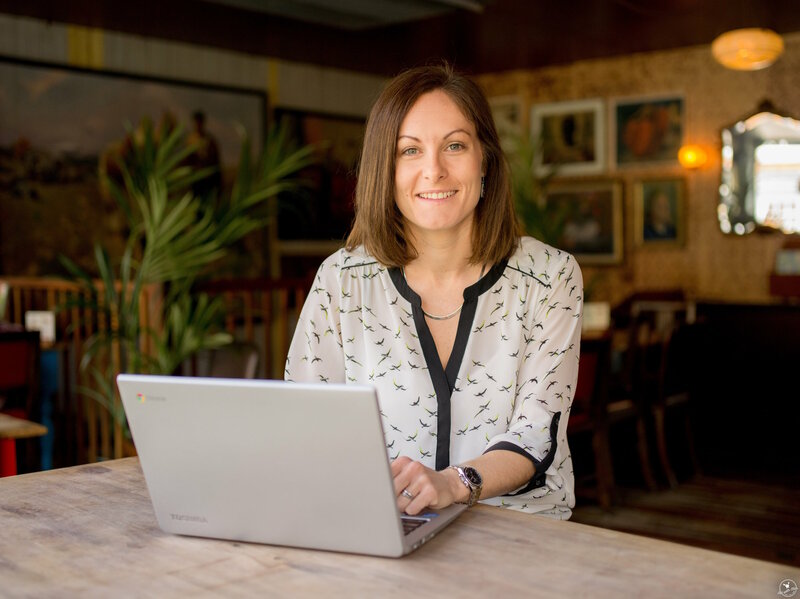 But what I do hope it is is a demonstration that taking a bit of time over matching wines with the food you’re eating doesn’t have to be an exercise in pure snobbery, but can be loads of fun and can really bring out the best in both. Plus, it means you can try loads of different wines. Who doesn’t like that? After the obligatory bubbles (yeah, I know, decadent huh!) 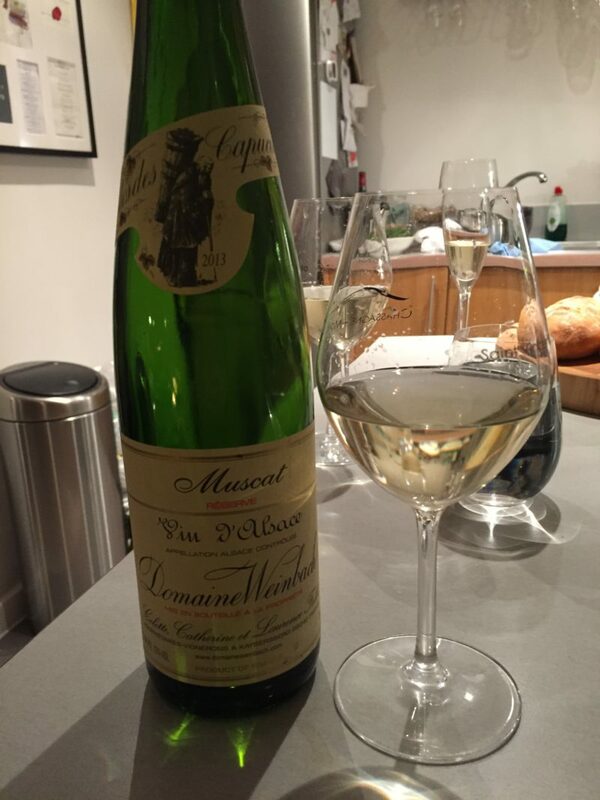 we started off with Muscat – Domaine Weinbach to be precise. Now, for anyone who knows me and Mr M, this is a big thing. We never choose white wine. Neither of us can claim to be big fans, and we’re more than happy to buck any so-called ‘rules’ and order some vin rouge no matter what we’re eating. Don’t get me wrong, I’m not one of those people who point-blank refuses something. I’d just rarely choose it. I’m happy to say, our weekend with our pals brought a bit of a rethink when it comes to vino. We both learned quite a lot. First, that actually – after years of turning our noses up – we actually DO like white wine, quite a lot in fact. We just hadn’t really explored exactly which ones we do like. Also, just because you like one kind of Sauvignon Blanc or Chardonnay or Malbec, it doesn’t mean you’ll like ’em all. And vice versa. Plus, the way wines are named and grapes are mixed and all that wine wankery stuff means you can never make big decisions based on just a name. So don’t try. Onto the food. 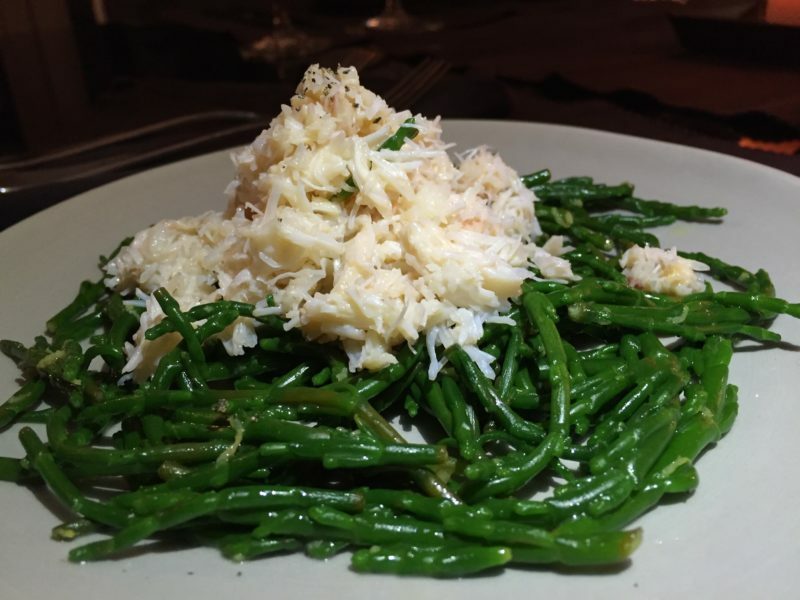 For starter, they cooked us crab and samphire. A simple but brilliantly-executed start to the meal. Crab, collected that day from their local fishmonger. Samphire, cooked perfectly so it still had a bit of bite and that fab taste of the sea, and all seasoned just right to make a light, elegant start to the meal. 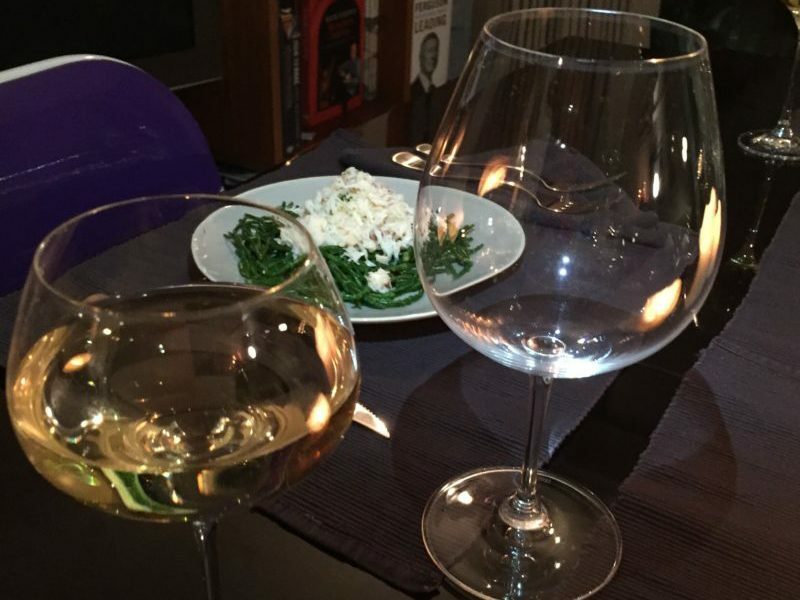 They paired it with a Riesling – Heider Riesling 2012 for you pros – which again, was an unexpected hit with me and Mr M. Aromatic, fruity and, as it turns out, just the kind of white wine we like. 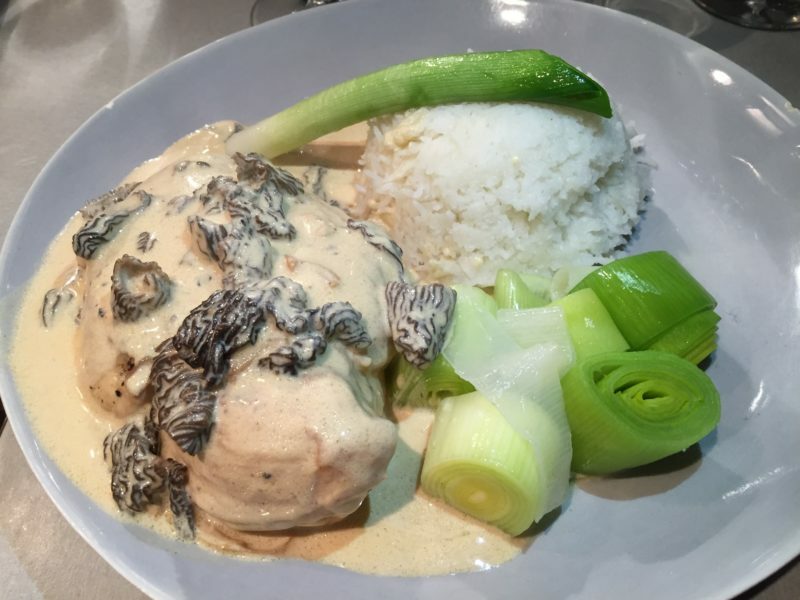 For main course, we were treated to poached chicken with morels and a creamy sauce. The chicken was moist, the morels earthy and deeply-flavoured, and the sauce rich yet delicate. It was served simply, with rice and leeks – a great balance to the rich main player on the plate. Now, folks. Here’s another lesson on wine pairings. Well, what’s the whole point of this stuff? Enjoying yourself, right? So, you can pick the most technically perfect pairing, but that ain’t much use if it’s something people really won’t enjoy. During our afternoon of tasting wine at The Sampler in Islington, it turns out our friends were carefully checking out what we like and what we don’t like. Consequently, they decided that the wine they’d planned for our main course wouldn’t be something we’d love. So – despite it being the planned perfect pair – they changed it. Simples. Instead of the white Burgundy they had planned, we were treated to a bottle of Signal Ridge Watch Tower Pinot Noir from their trip to Anderson Valley in California. Turns out we love Pinot Noir too, which we didn’t really know. Another one to add to the list. As I’m sure you can imagine, we were pretty full and pretty well lubricated by this point. 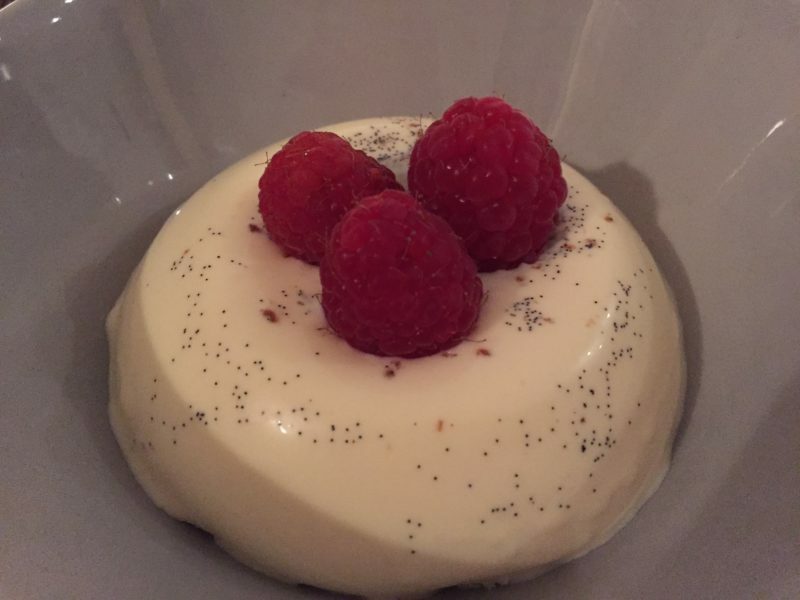 But not too full to enjoy our pal’s final creation – vanilla and cointreau pannacotta (well, not me anyway). Creamy, wobbly, sweet, naughty. The perfect finale to an indulgent evening, indeed weekend. And no, we didn’t eat the cheese we’d started the night before, that would’ve been a step too far. So there you have it. 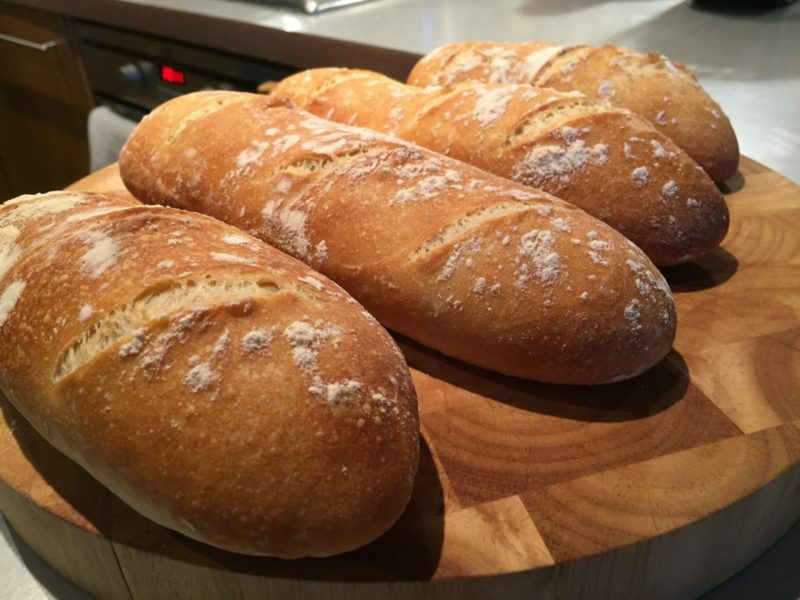 Home-cooked food, brilliantly-executed, wonderfully thought-out, and fantastically paired with some fabulous wines in just the way wine pairing should work – to give people a great experience. And that was definitely what we had. Thanks guys, we love you.